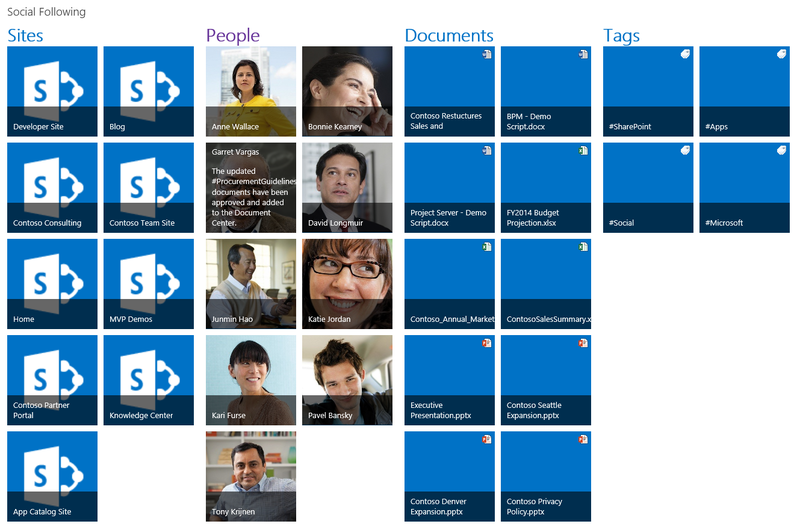 Download and install the App from the Office & SharePoint App Store. 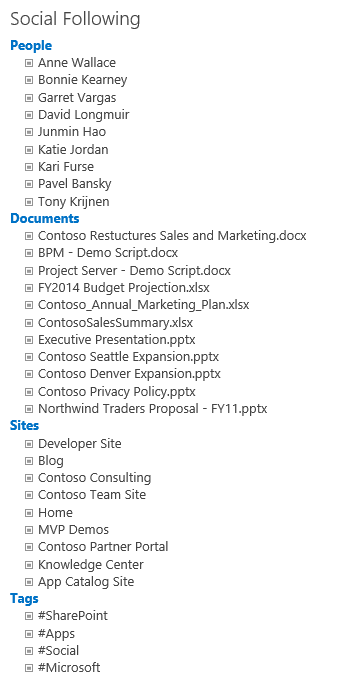 With Social Following App Part you can easily display all of the sites, people, documents and tags that you follow.You can use this App Part like any other Web Part and simply add it to every SharePoint site. 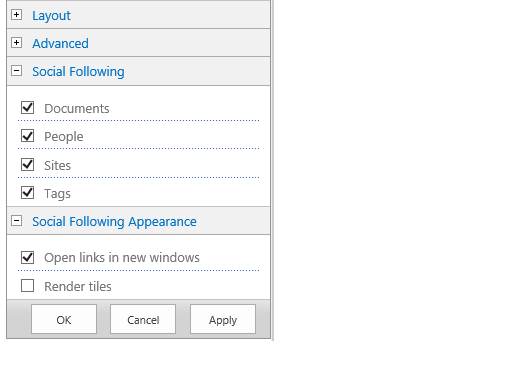 Once the Social Following App Part has been installed, it can be added to a SharePoint Page within any SharePoint Site. 1. Click the Edit Page button on the Page ribbon. 2. Click the Add Web Part link. 3. Select Apps from the Categories list and then select the Social Following App Part. The Social Following App Part can be used as is or customized using the Tile view option. settings or leave the defaults. Thanks for sharing this download.